SEO Kobe services from R1SEO are available to those who wish to make their Kobe based business or organization truly stand out from the crowd. With a population of over 1.5 million it is a busy area and there are thousands of businesses clammering for clients and customers, so ensuring you have the number 1 spot in Google and other search programs is essential if you wish to be truly successful. Through the consulting and strategy work we do for you r1seo is an outstanding force for boosting your business. Drive your success with ethical SEO consulting. This seaside city is bustling with a variety of businesses including a plethora of English schools, Bars, Restaurants, Cafes, Hotels and a vast amount of others too. So getting your own business noticed can be a challenge, unless your website has had quality ethical local SEO done to get it into the number 1 spot in Google and the other search engines. That is what we at R1SEO do for you, we get you that local recognition and ranking. If you like we can also help you achieve national and international rankings too, something which can be hugely beneficial depending on your business. 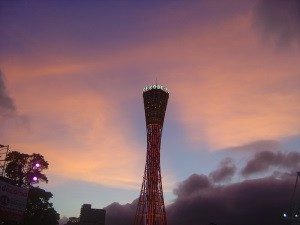 There are some very competitive areas with this area, that level of competitiveness leads to challenges if you wish to stand out and be noticed, that is where we come in and these are just some of the localized areas in Kobe that we can help with. Wherever you are located we can help you, even if you are expanding into this area with another branch of your business we can help you with the specialist SEO consulting and strategy that will help you get quality rankings, visibility within SERPs and recognition in a short period of time. We also do this in a way that helps you to retain top rankings consistently through the various updates Google and the other search engines go through. Do note that R1SEO Japan can also help your business with rankings in Tokyo, Osaka, Fukuoka and many other places in Japan. At R1SEO we understand how much time and energy goes into developing a quality business, along with how much love and attention for those truly devoted to what they are doing. We share that and that comes through in the way we work. We only use high quality ethical SEO strategies and techniques to get you ranking and up into the top spots on Google and in SERPs. You want your business to be lasting and fruitful, so do we. For the duration of the time we work together we will aid you in the best way possible and do everything possible within the agreed parameters to both get you to number 1 and keep you there. In fact we wish to do more than that, we will work to get you more than just the number one ranking, we will work to get you multiple top rankings for your target search terms. The R1SEO team comprises of native English and native Japanese staff. Many of whom are bilingual, and all of whom understand what is required, through the various search engine optimization techniques available, to get you and your business or organization to the #1 rankings you desire to have for the search terms you specify. This specialist local SEO Kobe work can be initiated within a very short period of time. Just complete the discovery form so that we can do a website SEO analysis and as soon as that is done we will be in contact to discuss the options and strategies open to you, having created an agreement we will then set to work on getting you those number 1 spots through high quality SEO.